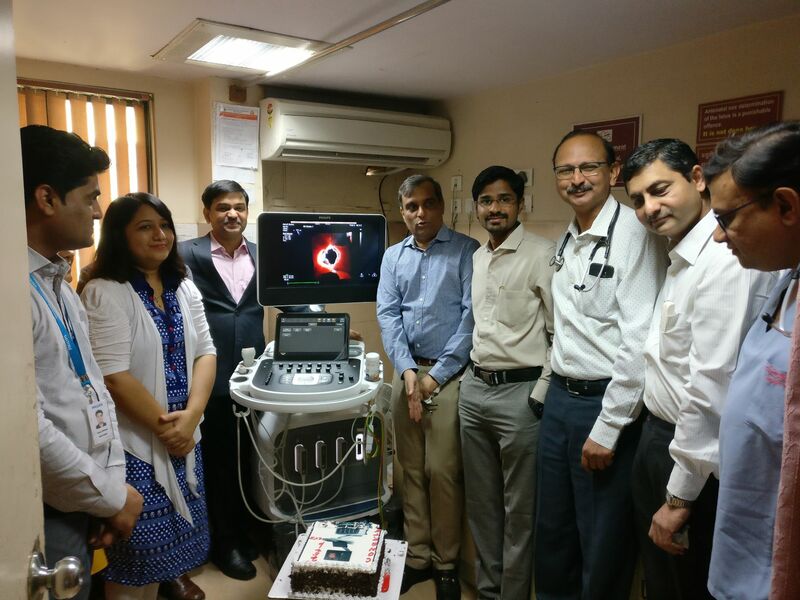 Philips, a global leader in health technology debuted EPIQ CVx, an ultrasound system, which is designed with the cardiologist at the forefront of innovation. The system is modeled to provide exceptional image clarity and sharpness, improved exam efficiencies, more robust and reproducible quantification, enabled by anatomical intelligence along with extraordinary processing power. The EPIQ CVx incorporates TrueVue, giving clinicians the ability to see photorealistic renderings of the heart, which improves cardiac anatomy analysis by offering detailed tissue and depth perception imaging through a new virtual light source. The system provides cardiologists with high image quality through the latest generation OLED monitor, offering a more dynamic, wider viewing angle for side-by-side image comparison. EPIQ CVx offers a slew of futuristic features such as the Dynamic Heart Model, which uses anatomical intelligence to automatically quantify left ventricle function to produce a multi-beat analysis for adult patients. The Dynamic Heart Model is proven to reduce the amount of time required to generate a 3D Ejection Fraction, an important quantification measure to learn how well the heart is pumping out blood, by 83%. It also delivers a high degree of robustness and reproducibility, even in patients with a cardiac arrhythmia. The systems also include the new S9-2 PureWave probe, which simplifies pediatric cardiac exams by displaying high levels of detail and contrast resolution through the single-crystal technology. It also provides tissue information at greater depths and enhances pediatric capability for coronary artery visualization with a single button coronary sub-mode enabling expeditious scans and enhancing workflow.